Our Manly West family dentist offers clear Invisalign® orthodontics, helping you to achieve a straighter, more confident smile without the need for traditional metal braces. Because our team are Invisalign® experts, you won’t have to be referred to an off-site specialist. In fact, we complete the entire treatment right here in our office! While we believe you can never be too old for braces, many adult patients prefer to straighten their teeth using Invisalign® orthodontics, as it allows them to undergo treatment in a more discreet manner. Along with improving your self-esteem and confidence, a straighter smile also leads to better oral health, helping to reduce your risk of gum disease and dental cavities. Invisalign® aligners are designed to be practically invisible when worn over your teeth. This allows you to get on with your day-to-day life, without feeling self-conscious about your teeth-straightening treatment. Love the sound of Invisalign® but want results in less than the traditional 12-18-month timeframe? This is where i7 comes in, as it provides a rapid alignment alternative which still requires you to swap out your aligners every fortnight. These aligners will straighten your front teeth in as little as three months, plus, our team will only need to see you 3-4 times throughout this process. Due to this shorter timeframe, i7 treatment also provides a more affordable alternative to comprehensive Invisalign, costing just a fraction of this particularly complex treatment. 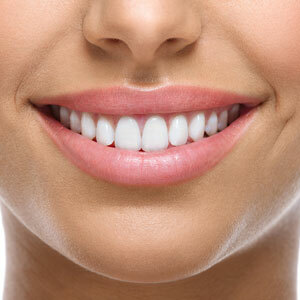 Looking for Invisalign in Manly West? Interested in finding out more about Invisalign either for yourself or your teen? Schedule a consultation with us today so we can begin planning your customised treatment plan.